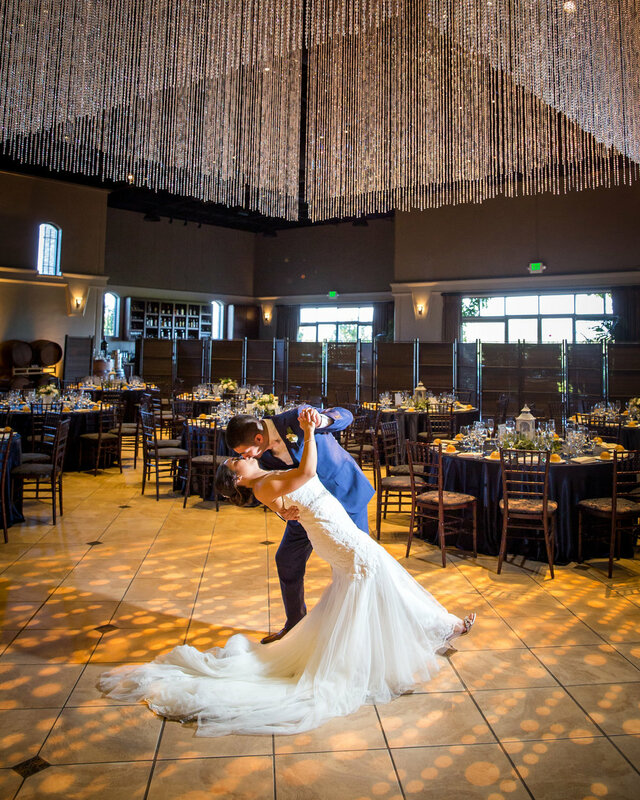 A whimsical wedding held at the TPC Stonebrea Country Club in Hayward, California. 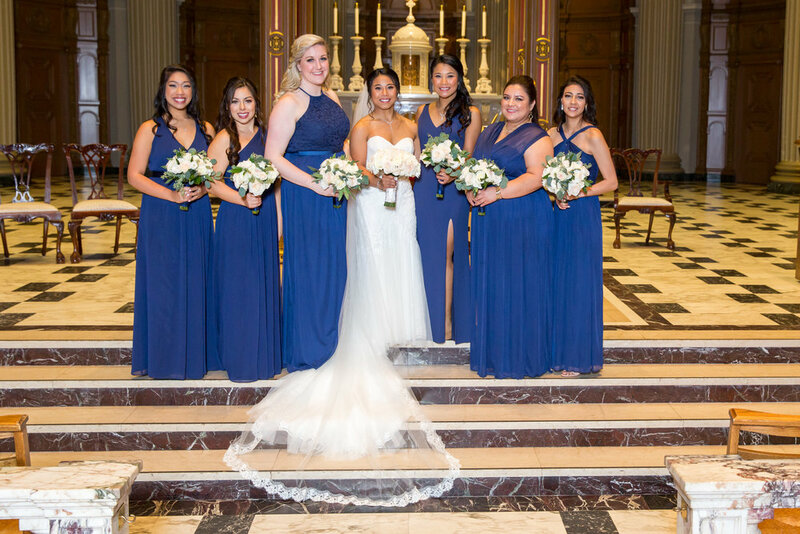 Our bride envisioned a timeless wedding that expressed love and timeless elegance. 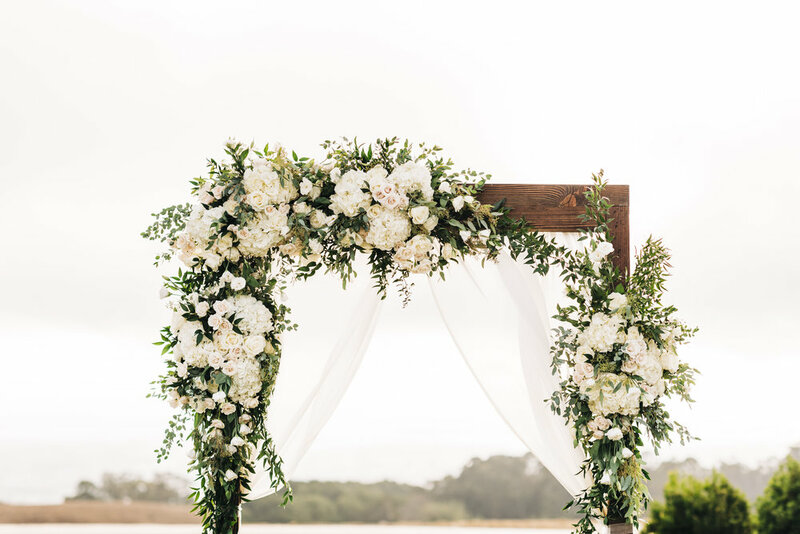 To start, we placed a corner arrangement on the beautiful wood welcome sign using mostly greenery and hints of white florals. For the bride’s bouquet, we created a bohemian style arrangement using garden roses, ranunculas, tea roses, and pops of silver dollar greenery. The bridesmaid bouquets were smaller versions of the bride’s using the same bridal flowers. The ceremony altar was absolutely breathtaking with every last detail. We decorated their TFH altar with three long corner pieces, placed on the left and right of the altar. These were arranged with a mix of ruscus and eucalyptus, with added in white hydrangeas and other white bridal flowers. At the reception, we decorated the sweetheart table with a 5 foot white floral garland. We also placed the bride’s bouquet here. The centerpieces at each table were low lush bohemian style arrangements using the same white bridal flowers used in the other arrangements. Lastly, we topped the cake with fresh white tea roses and hints of greenery.